FREE Slurpee on 7/11 at 7-Eleven! 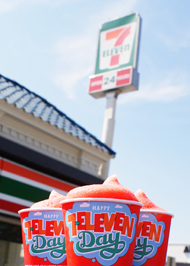 7-Eleven is celebrating their birthday on 7/11 by giving away a FREE 7.11 ounce Slurpee at participating stores in the US and Canada! Just make sure to go between 11am and 7pm local time. Thanks for the reminder Mama Love! !